Here’s a little secret. 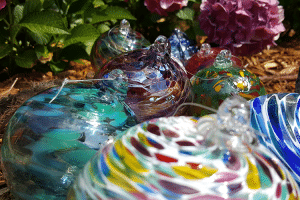 Labor Day throughout fall is a great time to get out and about and visit Golden. Why? 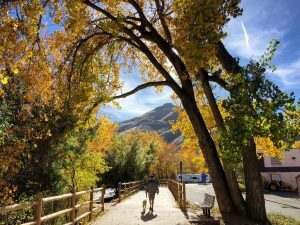 Well, first you have Labor Day weekend – three glorious days to enjoy the end of summer in Colorado’s closest mountain town without the mountain traffic. And then, as we head into autumn, Golden comes alive with fall colors, fun events, fantastic sales, harvest dinners and more. Here are 7 reasons to fall in love with Golden! 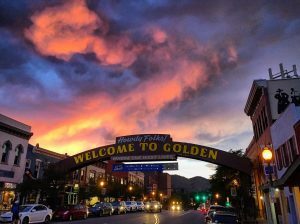 Before we turn back the clock, you can still get to Golden in time for a pleasant weeknight stroll through downtown, dinner at a delicious local spot and a sunset on Washington Avenue. 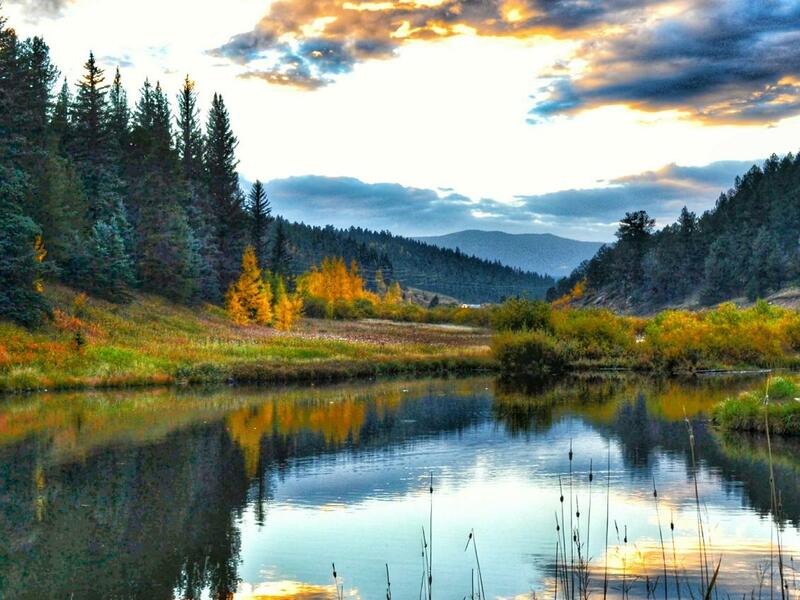 Or – head for the nearby hills for a post-work hike and sunset, followed by a craft beer in town. 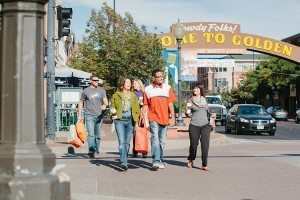 Sidewalk Sale – Don’t miss the Golden Sidewalk Sale on Sept. 9 – enjoy some of the best deals on the Front Range for fashion, sporting goods, art, ski equipment, water sports, outdoor gear, fly fishing, jewelry, and so much more on this “One Day Only!” sale. Eat Outside in Golden – Golden’s patios offer fabulous patio dining or plan to join in Golden’s Community Harvest Dinner, on October 1st. Enjoy a delicious four-course meal masterfully prepared by local chefs from the harvest bounty of local farmers and served al fresco in Parfet Park.